Gaming Commission of Antigua and Barbuda conduct a no nonsense due diligence policy, which creates a high degree of transparency concerning jurisdiction for any internet casino there. This consequently provides an attractive investment climate for possible investors to set up camp in Antigua & Barbuda. At the same time, this transparency facilitates things a lot, for people that want to play online in the island state Antigua and Barbuda: The gaming commission provides a distinct overview of safe online casino’s and sports books that have a legal licence. All details can be found in the final regulation from the Gaming Commission. Antigua & Barbuda is a member of the International Association of Gaming Regulators (IAGR) that agreed on a standard eGambling Protocol to also ensure the fairness of games, the integrity of systems and the quality of services to players. 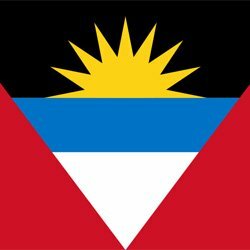 Therefore Antigua & Barbuda has chosen to conduct those regulatory principles for egambling concerning player protection, exclusions, licensing controls, operational and technical standards, advertising, player registration and financial transactions. The age verification principle requires players to be at least 18 years of age in order to participate in authorised online and mobile gambling. Any price won online in an internet casino or sports-betting website by a player that is in breach of this regulation (or any other by the gaming commission), will be forfeited to the gaming commission. A person that wants wage online in Antigua, should also take in account their own countries regulations, as the the laws of the countries that address the online casino, also apply. In Antigua & Barbuda, a person can only register as a player in an online casino upon filling in an application for registration. The registration form that is provided by the casino, must also have been pre-approved by the Gaming Commission. Registration means confirmation of the identity, date of birth and place of residence (country) of the player. Next to that, players are only legally permitted to play if allowed by their own country. The country knows two licenses, the interactive gaming license and the interactive wagering licence. At the current time of writing, the jurisdiction has issued 6 active wagering licensees and 6 active gaming licensees. Active licensees refer to companies that have been issued licenses by the Division of Gaming to perform interactive wagering, interactive gaming or both and that are currently operating under the jurisdiction of Antigua and Barbuda. Non-Licensees refer to companies who are not currently licensed by the jurisdiction of Antigua and Barbuda to perform interactive wagering, interactive gaming or both, but have been fraudulently purporting to be licensed by the jurisdiction. The interactive gaming licenses are for companies that offer casino-style gambling and the interactive wagering licences for websites that offer sports betting activities, where players can participate in advanced deposit wagering. In 1994, Barbuda passed a free trade and processing act, allowing gambling licensing to be granted to any organisations from all over the world applying to open an online casino, aiming at all players from all over the world to gamble in Antigua. Soon after that, they established a cooperation act with the Mohawk Territory of Kahnawake, which allowed players from this Indian territory to gamble online in Antigua. To develop their core business, Antigua started talks with the UK. Having been under British rule for decades, the UK granted a cooperation in gambling as well, allowing players from UK play in Antigua online gaming establishments. Antigua was on a spin cooperating with other countries, to open invite them and their players, but then the US made it illegal to transfer money to a gambling institute of any kind, anywhere. With that regulation, gambling online became illegal enough to prohibit former players to not gamble online in Antigua no more. Of course, Antigua went to the WTO on this matter, claiming the fair trade policy being breached. And they actually also won their case, leaving the US to pay several millions per year concerning suffered losses. At time of press, the USA still did not pay and the matter still not being settled but they are on speaking terms again. In the mean time, the regulation in US has again been changed, opening up possibilities for online gaming again, thus possibilities for online players. All license holders in Antigua must follow the policy and rules imposed by the government. There is a basic implementation for the remote gambling websites like the display the warning of addiction possibilities of gambling during the time of the player’s visit and/or logged in time. The online casino should also provide information to players with regard to compulsive or pathological gambling. A player may request, in writing, to be self excluded from a licenced casino site or sports betting site, if the casino does not work with an automated platform yet. In case of an exclusion, the player may not be reinstated for half a year, starting from the date of self-exclusion. The practical implementation can be chosen by the online casino itself, but is to be approved, monitored and regulated in cooperation with the Gaming Commission. Nowadays, the gaming operators tend to work with multi-tenants software that provide an all-in-one centralised service platform containing IP & Mobile Geo-Location Services, Player age verification, payment connectivity etc. This software is also very convenient for the players, as they can easily manage limits, and allow self-exclusion. The online gaming providers are obliged to refer to offered possibilities concerning amount limits on their gambling site as an opportunity for players to limit deposits. These options, and their content details, should be displayed clearly and are to be set in just a few clicks, with assistance of a customer service representative. The most common limits are the daily deposit limit (24hours), the weekly deposit limit (7 days) and the monthly deposit limit (30 days). The players are solely responsible for possible taxes and fees concerning an online win. The confidentiality principle relates to the fact that all player information like name and other identifying particulars are not be disclosed unless approved in writing by the player. Nor are these player details to be used for any other purpose then they were given for. The Caribbean country requires a proof of capital adequacy and imposes a financial reserve requirement for candidate licence holders, to protect players. These offshore gambling institutes are obliged to place an acceptable amount (or other similar security) of at least USD100,000.00 with the Gaming Commission. The precise amount can differ per applicant and will be determined by the gaming commission. This money will act as security to ensure players that the licence holder can always fulfil their obligation in terms of payment of prizes to players, f.e. in rare extreme situations like a dispute beyond solution or a bankruptcy and in the most extreme situation, when a license is being withdrawn. A very simple but effective guideline imposed in favour of player protection is the last time of login. Upon logging in to the internet gambling system by means of a personal user ID and password, the player must be shown the last time of logging in to the gambling site. By doing so, the player can immediately undertake appropriate action in case of suspicion of fraudulent use of the account. At the same time, the gaming commission wants to create self awareness regarding to the gambling behaviour. Last but not least the online casino’s will display information on their gambling website regarding topics like preventing under age gambling, parental control, advise on gambling responsibly, and where to turn to in case a player feels he or she needs help.